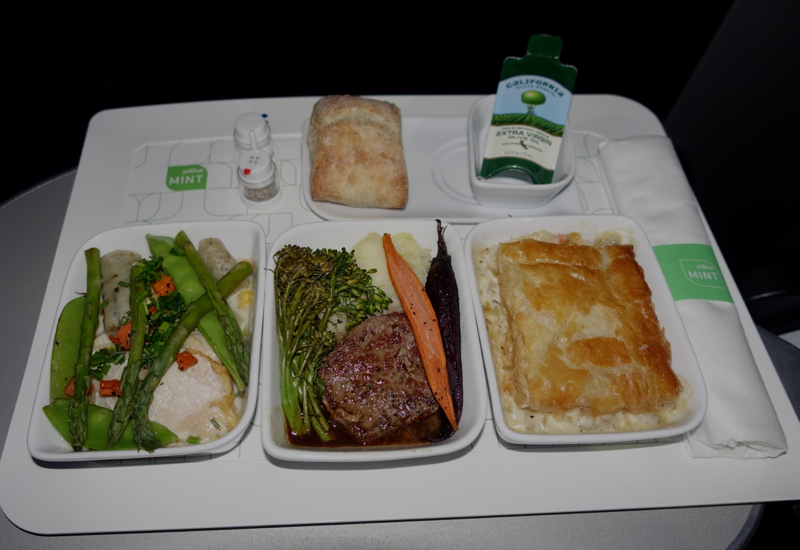 This JetBlue Mint Class A321 review is from a recent San Francisco SFO to New York JFK flight. 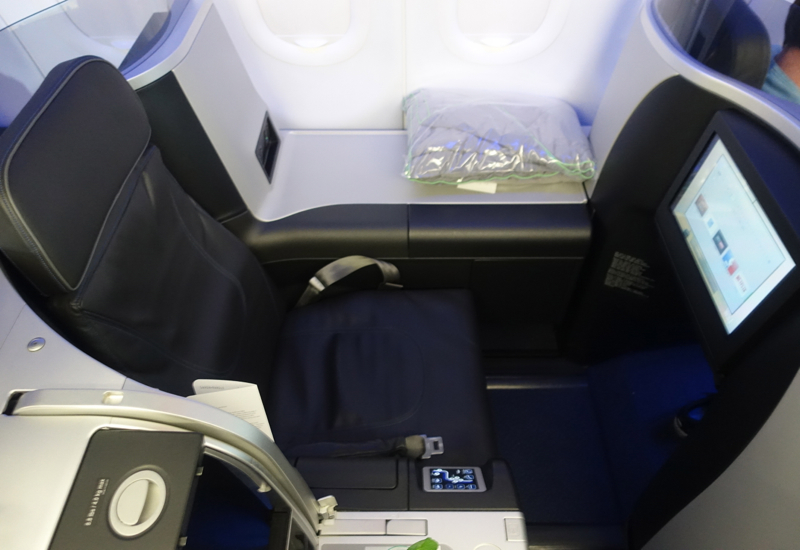 As I mentioned in my prior JetBlue Mint review, JetBlue Mint Business Class has 12 business class seats in a 2-2 configuration plus 4 private suites, one on either of the aisle in a 1-1 configuration with a closing door, even though it's not very high. The seats are the same for all 16 seats, but the private suites 2A, 2F, 4A and 4F can currently be reserved for no extra charge, if any are available at the time that you book. Note that current pricing is higher than at time of introduction; typically the least expensive JetBlue Mint tickets are $598, and more popular times can be over $900 one way. 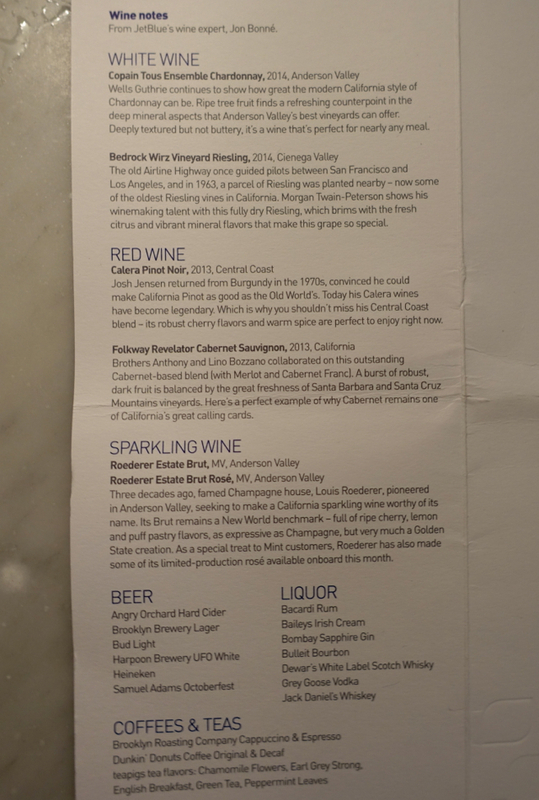 Mint class was fully-booked on my flight, but the Jet Blue attendants as usual were very helpful, relaxed and friendly. 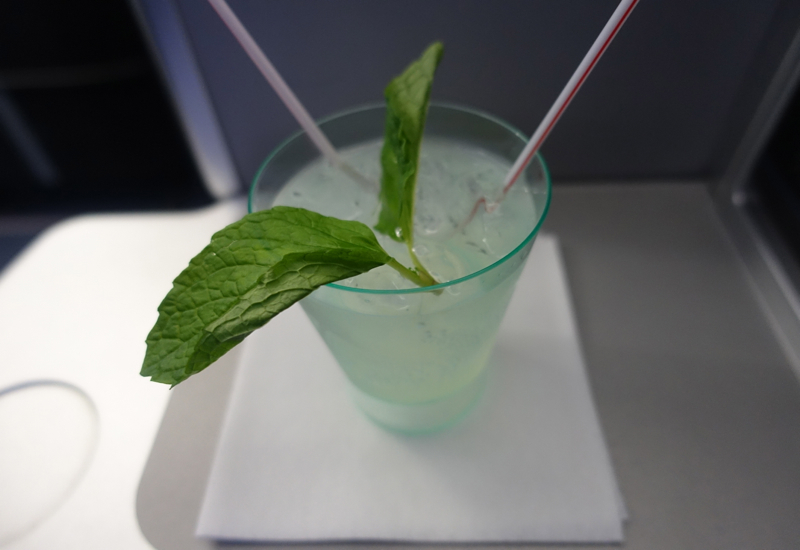 I was shown to my seat, 2A, one of the four suites, by the flight attendant, and offered a mint tonic drink, which was very refreshing. I was also offered headphones. Unfortunately, one of the travelers, who appeared to be a perfectly healthy, young woman with no disabilities, had brought on board her mid-sized, very active service dog, who followed his master to her seat, nosing and licking anyone within reach. I am aware that the woman may have had some not-discernable condition that would require such a dog, but I also am aware that the woman may simply prefer to travel with her boisterous companion for “emotional support”, so I was not thrilled that the flight attendants seemed to indulge the woman's belief that the cabin was her private backyard, especially as I am severely allergic to dogs. Soon enough, luckily, the dog settled down for the remainder of the flight. Many of the travelers seemed to be repeat customers who were very happy with Mint service; one of them was happy to remark that Mint was “the best deal out there.” I was then offered a hot towel and amenity kit, which I'll describe below. As I have previously described, the seat compartments in the cabin are of course smaller than the international First Class products, but the compartment is very well-designed and is perfectly suited to a long-haul domestic flight. 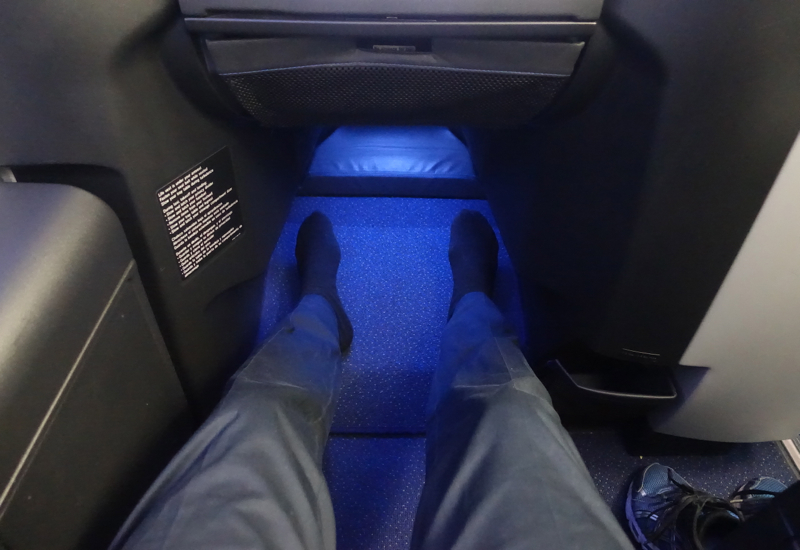 There was ample legroom even for me, at 6'5″ in height. For my main dishes I chose the chicken and dumplings (chicken thigh with herb veloute, asparagus, sugar snap peas, carrots and turnips; the chicken was dry), the crab pot pie (disappointing since the filling was not creamy and the crab tasted like processed seafood), and the ribeye with horseradish mashed potatoes (the meat was somewhat overcooked and tough and there was barely any discernible horseradish flavor in the mashed potatoes). 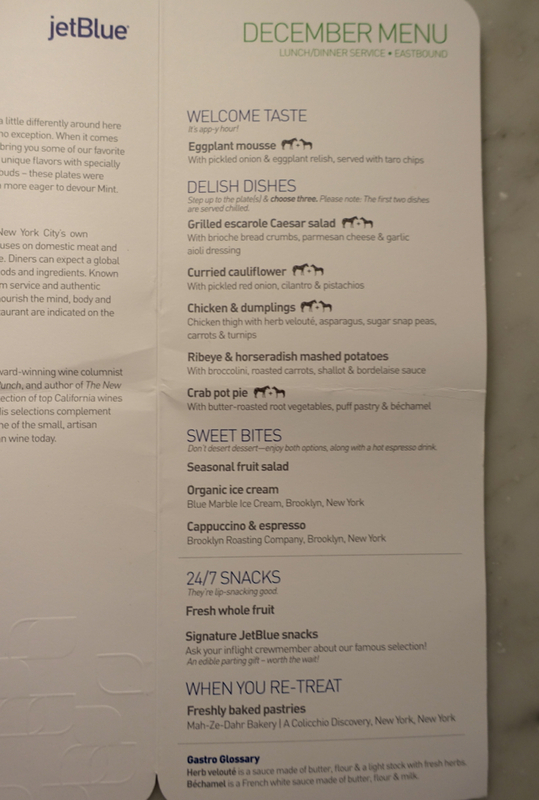 I have to say that although JetBlue makes much of their partnership with Saxon + Parole, known for its seasonal and innovative dishes, all the dishes were relatively flavorless. Not bad, just bland. For dessert I had vanilla ice cream from Blue Marble Ice Cream, and a cappuccino from the company of my college friend Jim Munson, Brooklyn Roasting Company. I am biased, but the cappuccino was the only really good thing. 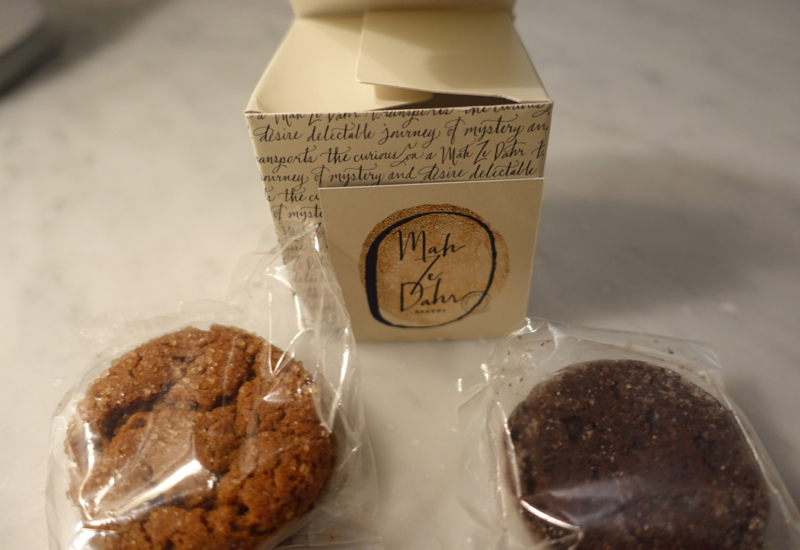 As a parting gift we were given cookies from Mah-Ze-Dahr Bakery, and the ginger one was delicious. As I mentioned in my prior post, the seat in the reclining and flatbed position is a very snug fit, even though I have a fairly slim build. The seat controls themselves were clear and easily operated. Alas, I soon noticed that my seat was broken: the lumbar support stuck way out and would not retract. I asked for help from an attendant, but he could not fix it, so he gave me a blanket to try to cushion the wedge. Still, it was not very comfortable with the lumbar hump constantly jabbing me in the lower back. The film selection is relatively poor. On my flight there were eight films, among which were The Polar Express, Fantastic Four, Home Alone, Maze Runner Scorch Trials, and Mistress America). There was also Sirius, and cable television but with no HBO or other good film channels, but I managed to re-watch Wedding Crashers on one of the basic cable channels. Even though JetBlue service sometimes seems to perfectly encapsulate the distinctive American trait of forced casual friendliness, I have to say that for a long domestic flight, such a tone can be very enjoyable. For example, on my flight there was some brief turbulence, but the Captain very nicely fore-warned us, described exactly how long it would last (15 minutes), apologized, and empathized with passengers who did not like it. 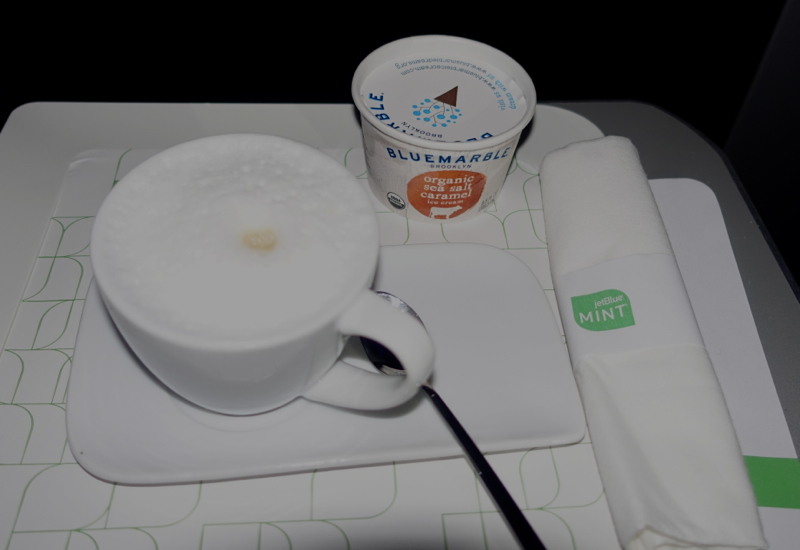 After my second experience on JetBlue Mint, I want to like the product but I wish the quality standards were more reliable. 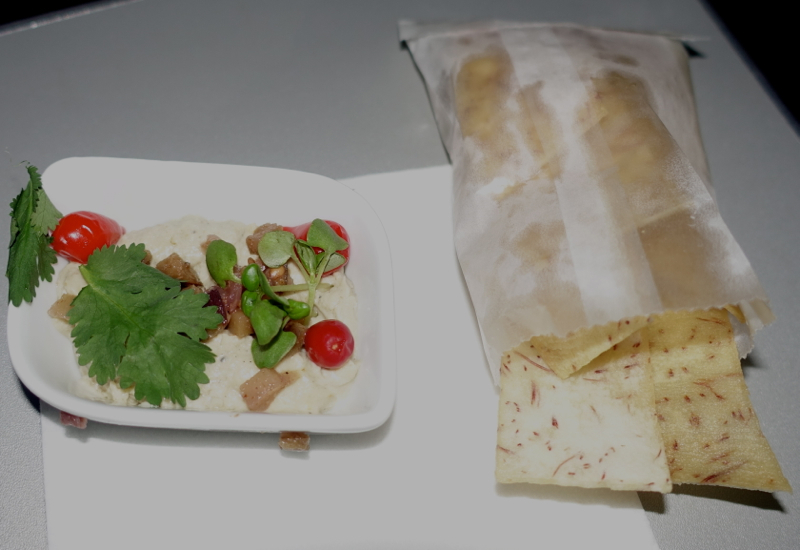 This flight had its real issues (full cabin, bad dog, tasteless food, and busted seat). 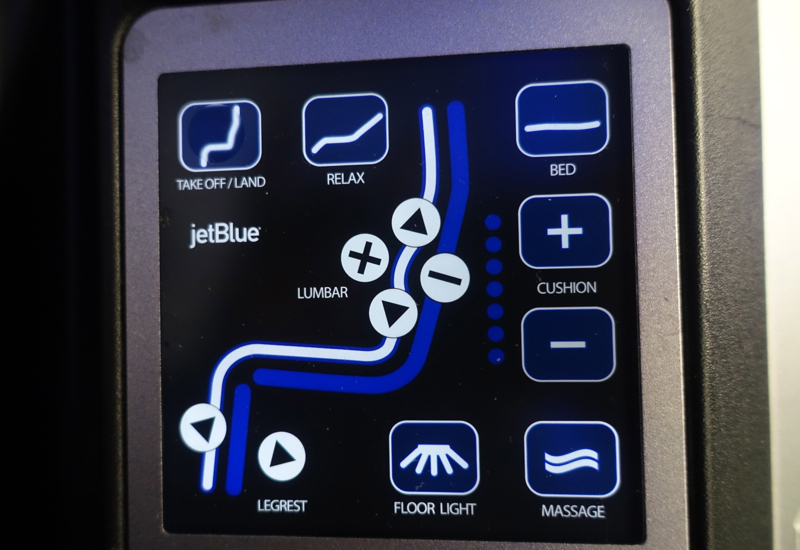 But the jovial JetBlue mood softened my complaints and I was still glad to have the flatbead seat. 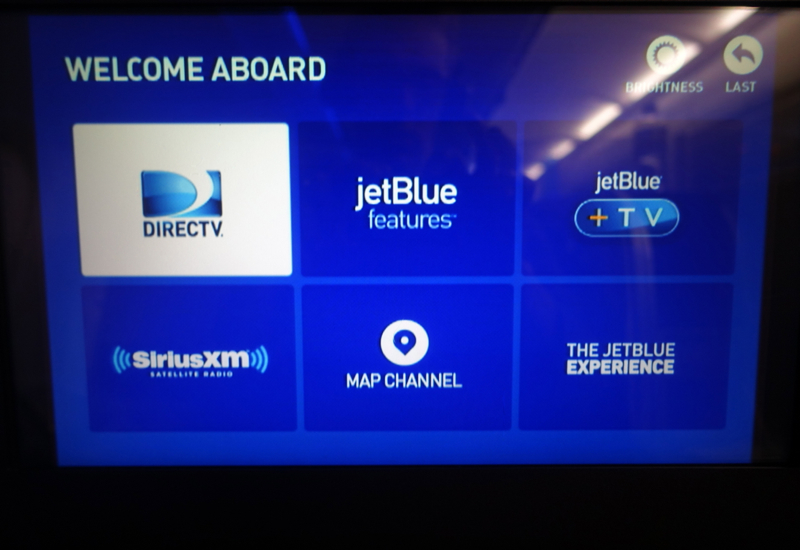 If you've flown JetBlue Mint, what was your experience?